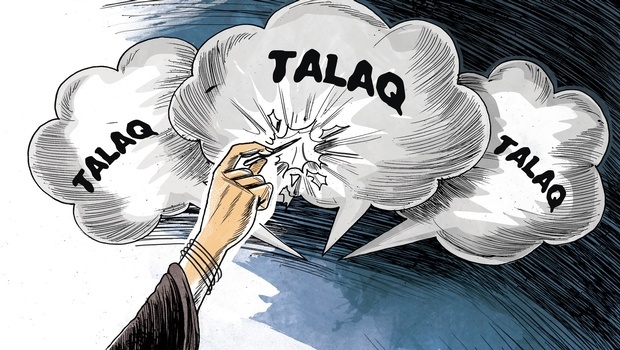 As many as 114 academics, lawyers, journalists, writers, artists and poets from the Muslim community have come together to insist that that they are against “instant arbitrary triple talaq as practiced in India”, even as opposing the BJP rulers’ effort to link it with the “need” to adopt a universal civil code (UCC). “The fact of the matter is that many of the personal laws irrespective of which religion they belong to are archaic and anti-women”, the statement underlines. Insisting on the need to “expose the nefarious designs of both the present regime as well as of the patriarchal conservative Muslims, who are colliding with the retrogressive forces to take the attention away from the most important issues, and the failures of the present government on all fronts”, the statement says, “no single organization or group of people/organisations can “claim to speak on behalf of the whole community”. “We have a Special Marriage Act under which people from any community or across religious communities and castes can marry each other. People have a choice to opt for Special Marriage Act (which is also being diluted by various right-wing state governments by adding caveats to it)”, the statement says.